Porsche. Audi. BMW. Jaguar. Meredes-Benz. These words make the hearts of gear heads the world over beat a little faster. 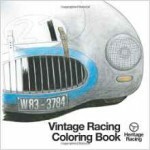 Fellow gear heads Casey and Jeff Maciejewski have created a small coloring book of line art from vintage races. Some of the cars in this lineup include a Cobra Coupe, a 1968 L88 Corvette, a BMW 328 Mille Miglia Coupe, and others. 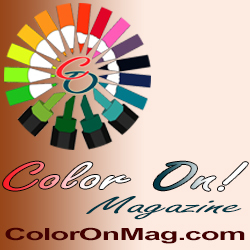 Twelve cars are featured in this book for you to add your own colors and racing stripes! 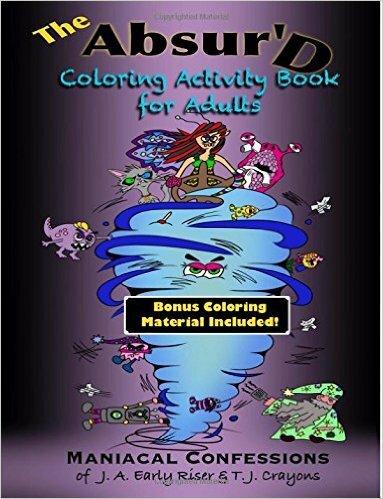 Not being much of a car buff, I can’t say whether this book will delight vintage car lovers who are also coloring enthusiasts. I have to believe, though, that there are some people who want designs that are less… feminine. 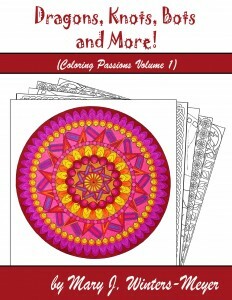 Whether you are a guy, or a lady who is tired of coloring yet another design with lots of flowers and cute animals, this book won’t disappoint.